Rabbi Yosef Farhi is a life coach who teaches Torah in Jerusalem to Yeshiva boys. He coaches students to achieve their academic, spiritual, and social goals. He helps students from the bottom 30 percent of the class, in academic performance and social blending, to reach the top 30 percent of the class and peers. 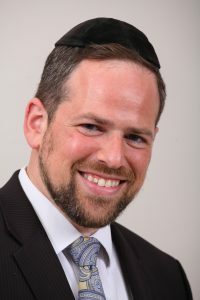 He authors the famous Thinkingaboutme.org weekly parasha sheets, with thousands of dedicated readers, including famous Rabbis and psychologists. Thinkingaboutme.org articles are self-help articles showing coaching concepts from the Torah and bringing ancient wisdom to everyday modern lives. Rabbi Farhi has been successful in getting people who were never before able to learn, to love learning, and to learn every day. He has an Effective Learning Course, where he teaches tools and techniques to improve learning skills. In the course, many participants are able to jump their reading speed from 150 words per minute to 900 wpm. The course has helped even people who are dyslexic or suffer from ADD/ADHD. With these tools, Rabbi Farhi helps men of all ages to improve their reading and learning in Hebrew, English, and the language of the Talmud. Rabbi Farhi’s biggest aspiration in life is to help people live better lives as better Jews. He lives with his wife and children in Jerusalem, Israel.